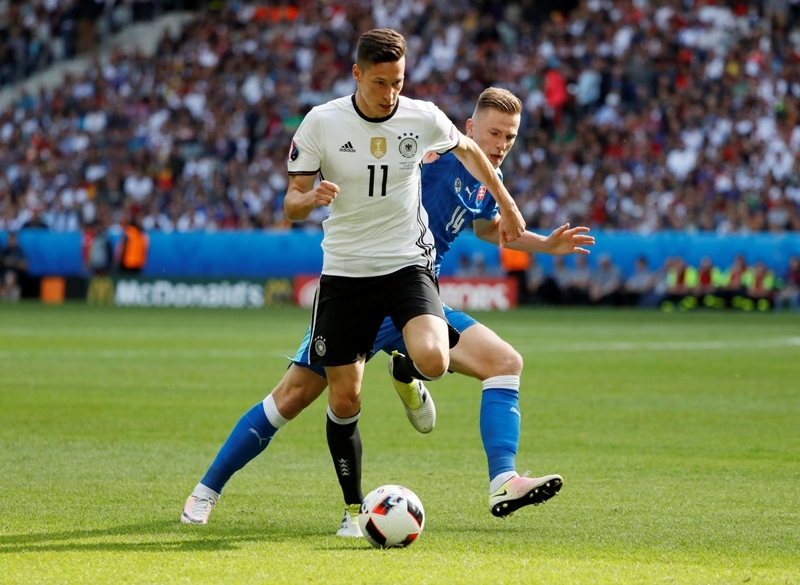 Wolfsburg sporting director Klaus Allofs insists that midfielder Julian Draxler will remain at the club ahead of the upcoming season. Arsenal have recently been linked with a club-record move for the midfielder, who was part of his country’s Euro 2016 campaign. Allofs has ruled out selling Draxler and says the departure of former Chelsea forward Andre Schurrle is more likely, according to SkySports. ‘With Julian Draxler it will be 100 percent like this,’ Allofs said. Draxler has only spent one season at Wolfsburg following his move from Bundesliga rivals Schalke.